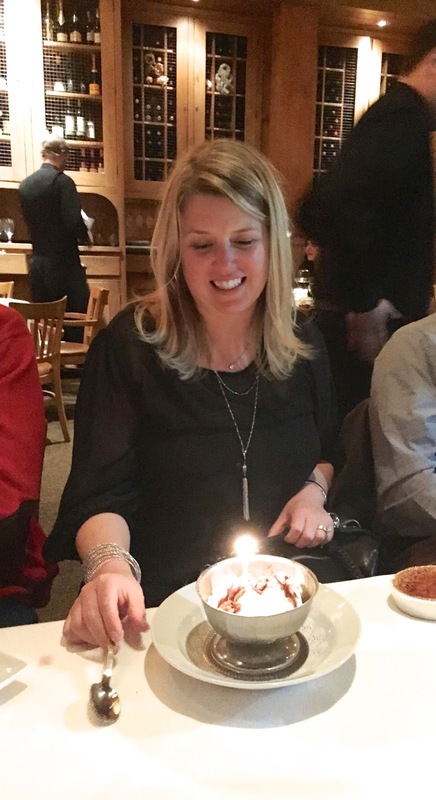 I had a wonderful weekend celebrating one of my best friend's 40th birthdays! Two of our friends from Atlanta came down as a surprise to join in the festivities. The highlight of the weekend was dinner Saturday night at our favorite local steakhouse, Jackson's. Celebrations like these are a great opportunity to try new wine. 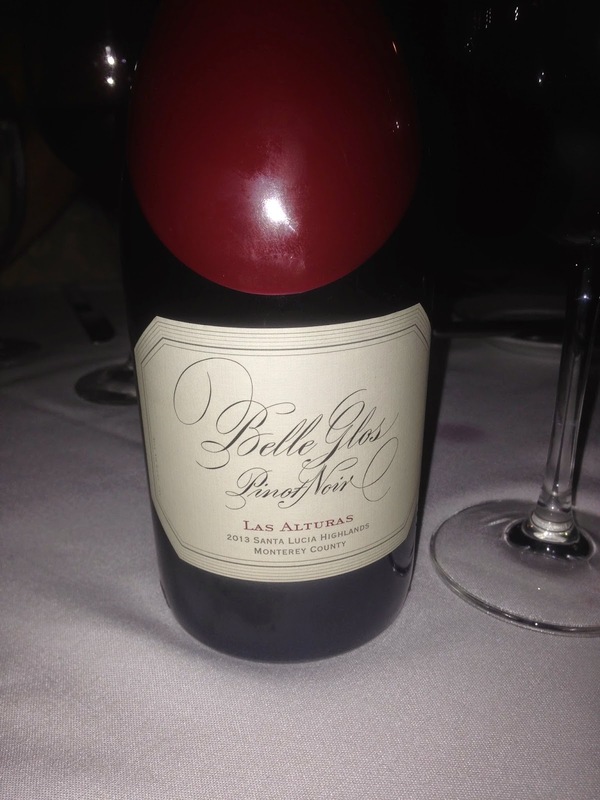 We ordered the Belle Glos 2013 Pinot Noir from the Las Alturas vineyard. This vineyard is one of the highest grape growing benches in the Santa Lucia Highlands AVA. My first few sips immediately reminded of the difference between California Pinots and the Willamette Valley Pinots we have been drinking since our trip to Oregon last fall. The Belle Glos was more full-bodied and robust. It stood up to my petit filet, pureed califlower, and swiss chard! The Belle Glos pinots are among my favorite from California. If you love Pinot Noir, I would recommend trying one when you have the chance. The winemaker, Joseph Wagner, is the grandson of Lorna Belle Glos Wagner, co-founder of Caymus Vineyards. Happy birthday to your friend! Looks like a great time.